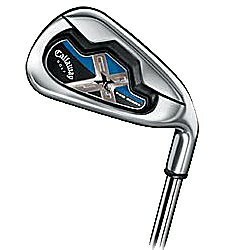 The Callaway Women’s Big Bertha Irons 2008 is a forgiving Iron that is made of stainless steel especially made for women. Experience a new level of forgiveness with the Big Bertha Iron thanks to the i-brids design that transformed the shape of the long irons into traditionally-shaped ones. These Irons are known for their accuracy and versatility in the field. You can expect to get your ball quickly in the air thanks to the deep and low center of gravity. You also get an improved turf interaction due to the extremely wide sole of these Irons. The Callaway Women’s Big Bertha Irons 2008 has a fully integrated set design that allows optimal trajectories and greater distance. It boasts of the Golf Core Technologies that Callaway is famous for including the Extreme Notch Weighting that results to higher moments of inertia or MOI. The Nike NDS or Nike Distance Series Graphite Iron Set is made of 431 stainless steel that is 25 percent softer compared to the 17-4 stainless. This is a dream come true for most golfers who want control but better feel of their clubs. The NDS Irons boasts of a low CG which offers more forgiveness and reduces fat shots. 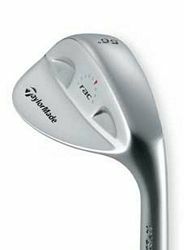 These Irons are attractive and modern-looking but more importantly they can help improve your game. They have a reasonable price tag too. Any golfer belonging to any level will love the feel and the performance and the swing of the Nike NDS Irons. These Irons have a high trajectory but the club’s head is somehow heavy. The TaylorMade R7 460 TP Driver will always be a welcome gift for any golfer who wants to add some power to his already existing golf equipment. This driver, which includes weights of varying grams (2, 6, 10 and 14 grams) allows you to have more control thanks to its movable weight technology feature. This feature also allows you to better manipulate your shots. This driver boasts of a larger head size due to UTW or the ultra-thin wall technology. You also gets higher moments of inertia and maximum forgiveness with the 460cc oversized clubhead. High COR is a given with this driver due to the Inverted Cone Technology which also allows you to deliver longer drives. Experience an easy launch with the TaylorMade R7 460 TP Driver as it has a low and deep CG which also allows you to hit at a farther distance. This driver s made of graphite and steel in dimensions of 45 in.L.